When you're a patient of Orthopedic Medical Center, there's no need to run all over town for X-Rays. Our radiology department can take any needed musculoskeletal diagnostic films at the time of your doctor's appointment. Your films will be read by the doctor so you will have the results immediately. 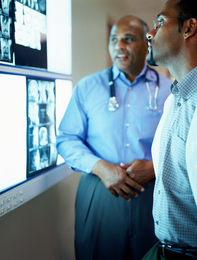 Our radiology department is available during regular business hours.